This title might sound pretentious coming from the first issue of something, but bear with me :) I'm actually referring to a board game project that's on Kickstarter now - Kingdom Death: Monster 1.5. Kingdom Death: Monster was a 2012 Kickstarter project from Adam Poots that collected $2 million in funding which was an enormous amount at that time. It is a cooperative board game set in a nightmare-horror world. In recent years we have been witnessing a renaissance in board gaming and an explosion of board game projects on Kickstarter. Few of them surpassed that amount, like Zombicide games, Dark Souls The Board Game, Massive Darkness and previous record holder Exploding Kittens, which collected almost $8.8 million. 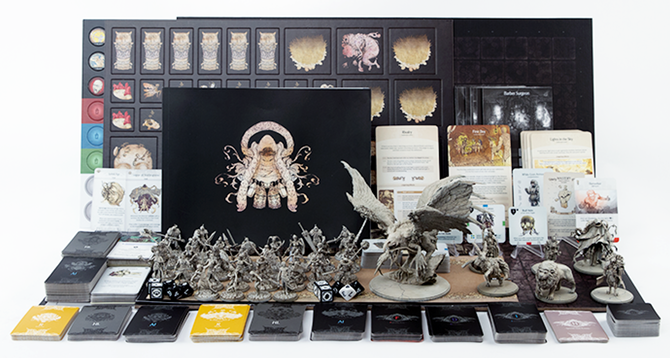 Now an upgraded version, Kingdom Death: Monster 1.5 is on its way to set the new record. Already a most funded board game project and in top 5 of most funded projects on Kickstarter ever! We'll see at which spot will it land on January 7th. Again, "making history" seems a bit farfetched, since Kickstarter is just 7+ years old. We could see the funding level of KD:M surpassed in few years. But, it's by no mean a small achievement. Kickstarter and crowdfunding culture, in general, have done wonders for the return of analog gaming. We truly are living in a dream world for board game fans considering an amount of new and upcoming games, and we can thank crowdfunding for a great deal of it. With a new year comes the announcement of new mergers in the game industry, with Asmodee acquiring German publisher and distributor Heidelberger Spieleverlag, Spanish/French company EDGE Entertainment, and Spanish distributor Millennium. The Guardian presents best new board games in December 2016. Fighting desperate battles in the Star Wars universe, confronting deadly diseases in 19th-century Spain, battling for first place in a prestigious cycling race and leading warring clans in medieval Scotland. Virtual tabletop, Tabletopia, launched into full commercial release this week. The service exited beta and early access stages with support for more than 300 board games - from the traditional, like Chess and Gin Rummy, to the hot new releases, like Scythe and Santorini. The highly anticipated game will be materializing in our universe next year, by way of the BBC and Gale Force Nine. Two to six players will take on the roles of various incarnations of everyone’s favorite Time Lord as they look to thwart the Daleks and their plans to remove our heroes from the Matrix of time. One of Uwe Rosenburg’s classic games is finally coming back into print courtesy of Lookout Games and Mayfair, and that game is Le Havre. The game itself plays very simply in that on your turn you have two actions you can take, grab a stack of goods being offered, or activate one of the many buildings on the board. 2016 might be a bad year for everything else, but not for board gaming. Ars Technica crew writes about the best board games of 2016. GeekDad team, Jonathan Liu, Dave Banks, and Rob Huddleston share their top tabletop games of 2016. Some interesting picks here. On Rules. And Breaking Them. Unintentionally. Sometimes. Rules are what make games great or not so great. Rules define how mechanics work. Rules define how you win or lose a game. Rules define whether a game is a 4x or worker placement or tile placement or deck building, etc. Rules are the foundation of this hobby. So why are they so easy to mess up? Man Vs Meeple crew talks about their top 15 most anticipated games of 2017. Great list with some gorgeous titles. Another list of most anticipated games of 2017 by Richard Miles of Board Game Authority. Most of those are from Kickstarter projects he has backed. What are you looking forward to? Dice Tower, a group of gamers dedicated to growing and promoting the board game hobby, is collecting funds for a new season. Tom Vasel, Sam Healey, Zee Garcia, and many others produce weekly videos of hundreds of different games each year. A fast-paced game where the most skillful in claiming oxygen points and altering the labyrinth will survive the stellar prison. Rahdo reviews Great Western Trail, a new western themed strategy game designed by Alexander Pfister. You are a rancher and repeatedly herd your cattle from Texas to Kansas City, where you send them off by train. This earns you money and victory points. Each time you arrive in Kansas City, you want to have your most valuable cattle in tow. A second edition is most often a chance for a publisher to take a game received well for its concepts and refine it to update the play style to fit a new audience or get it closer to perfection. Since Stronghold is a two-player only affair with much the same play style, it is to be assumed that Portal and Stronghold games intend for the latter. A two player game based on Jack and the Beanstalk. Players take on the role of either Jack or the Giant. The Giant must maneuver the Fee Fi Fo and Fum cards while Jack tries to create three beanstalks to steal the bag of gold, the Golden Goose, and the Singing Harp. Each player has different available actions and must carefully arrange the cards to achieve their goal. Capital is one of many city building games out this year at Essen 2016. The theme for this is close to the publisher’s heart as it involves building up a new version of Warsaw, the capital city of Poland and the home of the publisher, Granna. Imagine if you had three wishes. You could have anything; be anything. Would you wish for power, wealth, or would you selflessly wish for others? Perhaps world peace? How about no more sickness, pain, or hunger? Your imagination is the limit, but in this game, your wits and memory are the keys to getting what you wish for. What person would be a better fit for a first issue than the co-author of #1 overall game on Board Game Geek at the moment - Pandemic Legacy. Beside Pandemic games, Matt is also author of other hits like Roll Through the Ages, Forbidden Island, Forbidden Desert and Thunderbirds. After the first version of Pandemic has been released, more and more cooperative games started to appear. That fact alone is enough to establish Matt as one of the top influencers in board gaming community. To learn more about him, take a look at Time Magazine's article or About.com's article. That's it for this week. I hope you've enjoyed reading this issue. 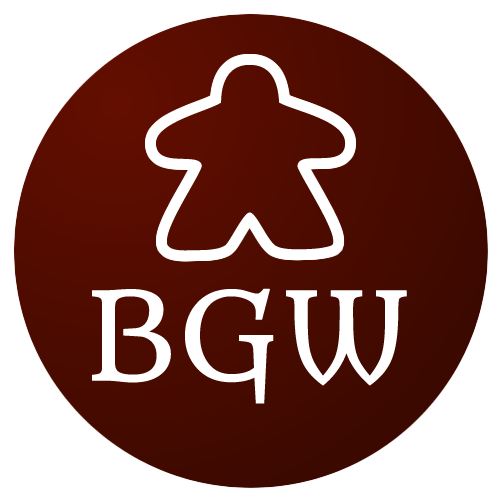 Please share with your friends, subscribe if you have not already and follow BGW on Twitter and Facebook.